7th Heaven - Audiobook | Listen Instantly! The Women’s Murder Club is back in action in an electrifying new thriller—chasing a killer with a taste for fire. 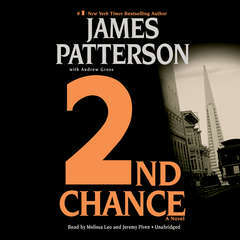 Two cases have pushed San Francisco detective Lindsay Boxer beyond her limits. In the first, a terrible fire in a wealthy home left a married couple dead and Lindsay and her partner Rich Conklin searching for clues. At the same time, Michael Campion, the son of California’s ex-governor, with a reputation for partying, has been missing for a month. When there finally seems to be a lead in his case, it is a devastating one. And the combined pressure from the press and the brass is overwhelming. 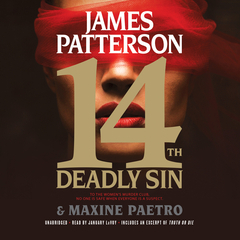 Assistant District attorney Yuki Castellano plunges into the biggest case of her life to get to the bottom of Michael Campion’s disappearance. As fire after fire consumes couples in expensive neighborhoods, Lindsay and her friends in the Women’s Murder Club race to find the arsonists responsible. But suddenly the fires are raging too close to home. 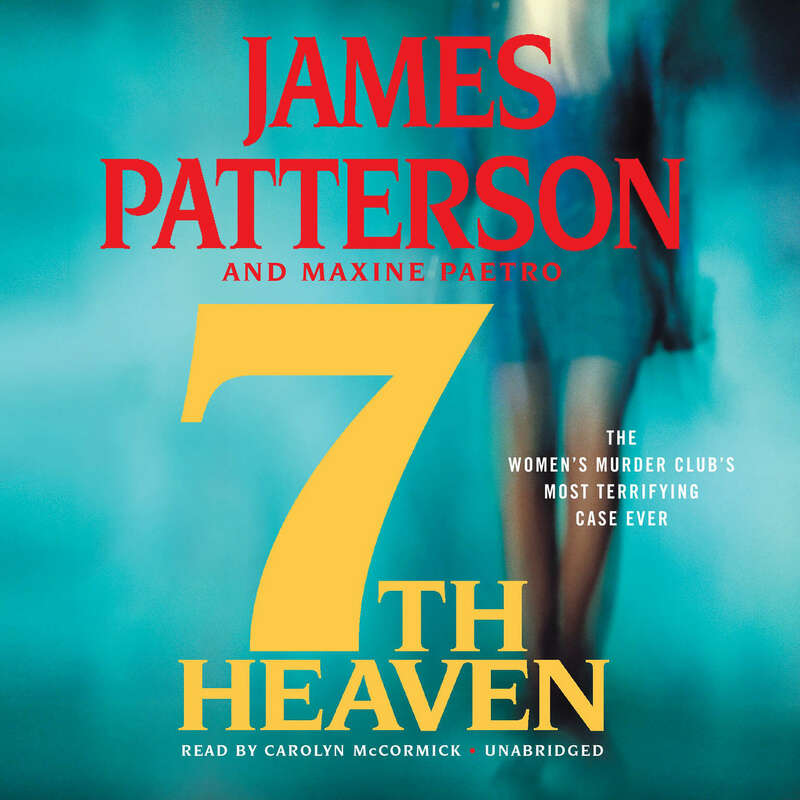 Frightened for her life and torn between two men, Lindsay confronts the most daunting dilemmas she’s ever faced—-in a thriller with unexpected twists and emotional extremes of the kind only James Patterson can deliver.
" 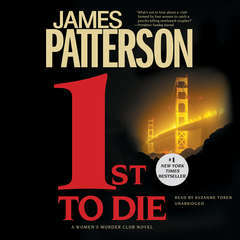 Initially I enjoyed this series, partly due to it taking place in the Bay Area; I enjoyed recognizing local landmarks. However, this series has gotten progressively absurd. Every crime that takes place in this series has to link to at least one character in some way and it's become more and more outlandish. I would think that the characters being a police officer in Homicide, the Chief Medical Examiner, a reporter, and a top district attorney would be enough to connect them to the crimes, but apparently not. Every crime needs to connect to them on a personal level. If there is a hospital that people are dying in then someone they know and love has to end up there and become another victim. It's getting old. 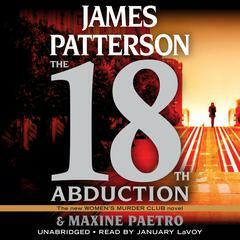 I'm thinking I might stop reading this series and stick with his Alex Cross series. It has its own issues, but it is better than this. " 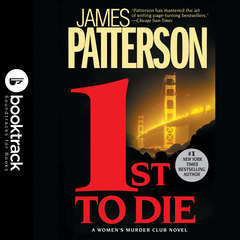 " The is one of the best novels in the Women's Murder Club series. The book held my interest, contained interesting twists and turns, and included some surprises at the end. I would highly recommend this book and series. " " I tried to keep on but I stopped reading this book halfway through. The characterisations are so stereotyped and obvious, the writing so clunky I couldn't waste anymore time on it. " 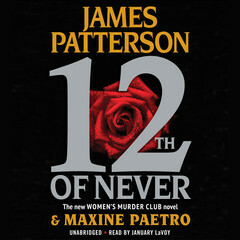 " I jst luv all the female heroic characters n this series of the womens murder club...each 1 always has their own seperate thrillin story 2 tell thru the book..i was intranced frm beginning thru 2 the end of this book...cannot wait 2 get caught up on reading the rest tht goes along wit this series of books "
" It's like a train wreck -- can't stop looking. " 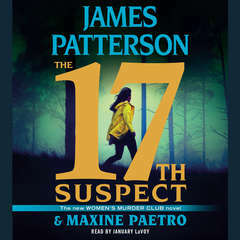 " Listened to this one first and found it quite good; not quite so good as the tv show with Angie Harmon was, but still very good police procedural w/ lots of action and suspense. " " The latest book. I liked it. The ending has a twist. " " The Women's Murder Club faces not one,but two cases. The teenage son of California's ex-governor has mysteriously vanished. The pressure is on Detective Lindsay Boxer to find him. When she finally does get a lead, it's devastating. At the same time, Lindsay and her partner, Rich Conklin, must investigate mysterious fires that are destroying some of San Francisco's most beautiful homes-and leaving their owners dead in the debris. Lindsay enlists her friends in the Women's Murder Club to help uncover the arsonist. This is another series I read when I am looking for something quick. Suspensful page turner. " 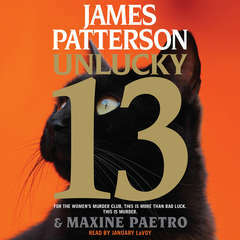 " Wow, I havent "appreciated" these women's murder club books until this one...what an ending! 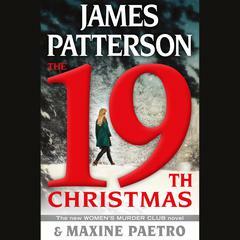 James Patterson does it again, worth the read! " " so moving... have just fastened my seatbelt... i'm sure before i reach mombasa i'd be through "
" Great read - I enjoy reading about the Women's Murder Club, always a bit of excitement going on "
" Loved it! Lot's of twists and turns- quick and easy to read. " " I really liked how the charecters keep developing in this series. It's crazy how the love lives of these women can be so complicated yet so real. It is a great book and an awesome addition to the series. " " Womens Murder Club Series "
" anothe good read "
" psychopathic killers can be very charming "
" Very good summer read - kept my attention. I read the first six a LONG time ago - so I thought I would start up again - now I won't have to wait a year for the next book. " " Fast paced thriller. Did not see what happened in the last few pages coming! " " Very easy to read and very enjoyable. " 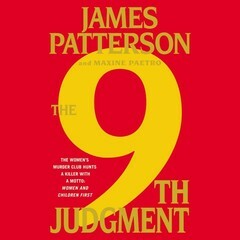 " Waiting on the 8th....I can't wait to see what else he has in store for the women. " " This was the first book I have read of the Women's Murder Club series. You don't have to start with the very first book, but it might help you understand the characters better. I liked the twist at the end of the book. " 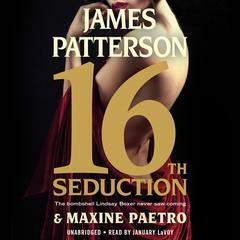 " This might be my favorite of this series, although I'm ready for Lindsay to figure out she wants Joe. That said, and without any spoilers.... Great ending!!! Very satisfying. :-) "
" I really enjoy this series, fast reads. Great characters and interesting story lines. " " Had to keep my nose in it "
" Have not read Patterson in about a year or so... enjoying this page turner. Hard to put down his books. " " I enjoyed this fast read w/ a surprising ending. " " Really good, I liked this a lot. So much going on that it didn't get boring. I was annoyed w/ the love story stuff but it was a minor detail and, as always, love Carolyn Mccormick! " 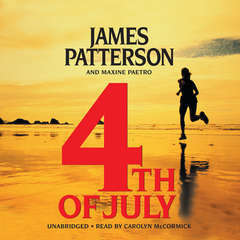 " Patterson continues to write great fiction. " " such an incredible book! 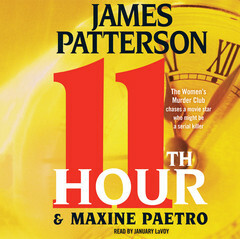 this was the first kind of murder/mystery book that I've ever read and I could not put it down! Its so intense! " " All that for that ending? REALLY?! " " Not bad for a free book, though it suffered from not having read the 6 previous novels. The case itself was interesting and the writing's pretty good. There are some moments of gender fail that made me wince, however - consider yourself warned. (I've seen worse, but...) "
" It was a good book that seemed to follow a formula but twisted it at the same time. The ending was the best twist of all. " " Very good, good twist at the end. " " I thought this was pretty good. I totally did not expect that ending! " " It was pretty good...the ending was not what I expected...I wondered about the baby they found in the land fill. " 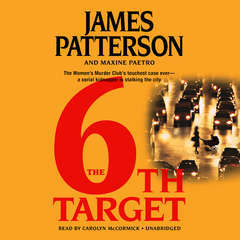 " I continue to enjoy the girls :-) "
" Another great James Patterson Book, he certainly has the winning formula for Crime fiction. " " Another good episode of the Women's murder club. Several different story lines going at once, and some tension between Boxer and her partner and her boyfriend. " 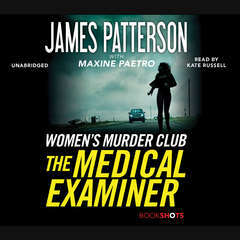 " It was another good story about the Women's Murder Club! 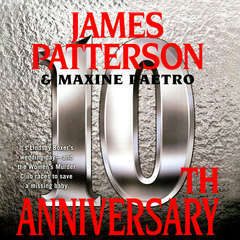 James Patterson and his co-authors always do a good job. 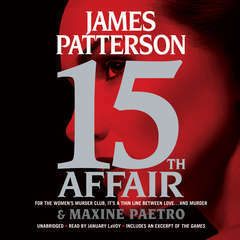 It's a murder mystery with lots of good personal stuff about the women in the group. (2011 - audio) "